Home Business and sales management Brexit, Macron, digital espionage, and construction marketing: Are there any correlations? Brexit, Macron, digital espionage, and construction marketing: Are there any correlations? Are we entering a brave new world where artificial intelligence empowers us and frees us from the drudgery of menial details (or for that matter, of driving ourselves around), or are our lives and decisions increasingly being taken out of our control by shady operations playing around with big data and our minds? 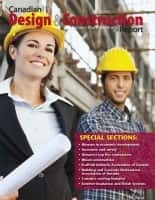 I don’t have an easy answer to these questions and appreciate that they may seem distant from your interests as you think about how to promote your architectural, engineering and construction enterprises. Yet, I think they are important to consider. 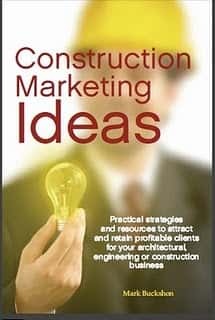 More and more, marketing with new media (owned by a few large companies) depends on your capacity to slice and dice and reach emotionally to highly targeted niche demographics — and clearly these priorities have always been vital for the highly specialized audiences within the AEC community. The solution to the power and control concentration may rest with small publishers such as our organization, who retain the focused industry knowledge and experience, both of the AEC and publishing communities. We’re carefully and strategically increasing the number of regional publications and media, and tuning in more closely to the powerful concentration within social and search media. I hear the concerns and warnings such as expressed by The Guardian article, but also see hope — because forces of good, evil, power, control and freedom have always shaped our lives, and those of the media. Let’s keep our minds, and hearts, open to our own abilities to understand and respond. Next articleSimplicity (and emotions) sell: Can you boil it down?